The customer advises Dial a Contractor in writing prior to the work commencing so that the insurance cover can be activated. This activation cannot be done retrospectively. The Cover encompasses damage caused whilst the works are being undertaken, either due to fire, storm, flood, tempest, snow, hail and frost. The Cover is further extended to include Theft and Malicious Damage. 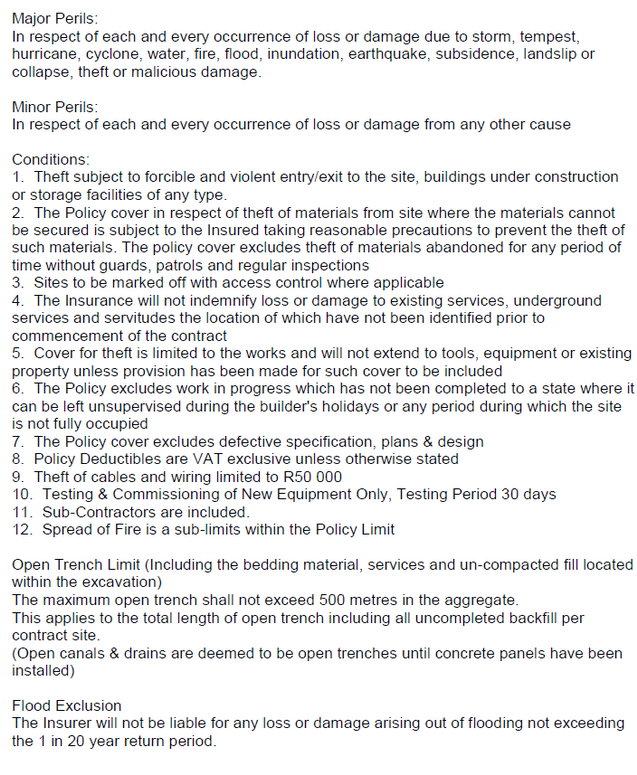 The theft cover is for materials, fixtures and fittings – which must be included in the Contract Value. Theft Cover is always subject to forcible and violent entry to or from the premises. 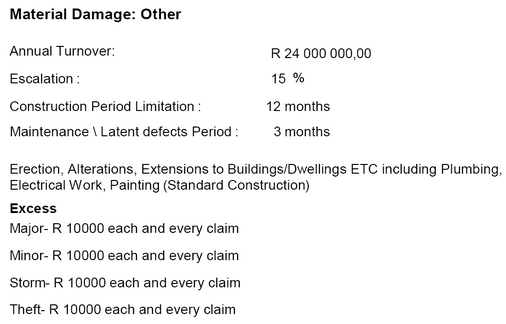 Faulty workmanship, design and materials are not covered, however, if the Contractor is found to be negligent, resultant damage caused arising from that faulty workmanship is covered. The customer is liable for any excess which will be deducted from the principal amount claimed.